Winter is finally losing its grip and the first hint of spring is in the air. 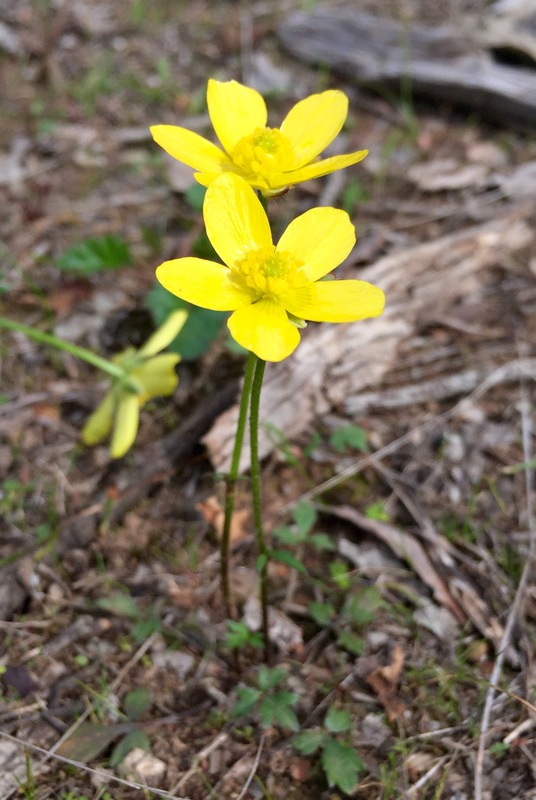 I have been walking on the Goldfield track where I found the best wildflowers last year and was rewarded with the first flowers of this year. 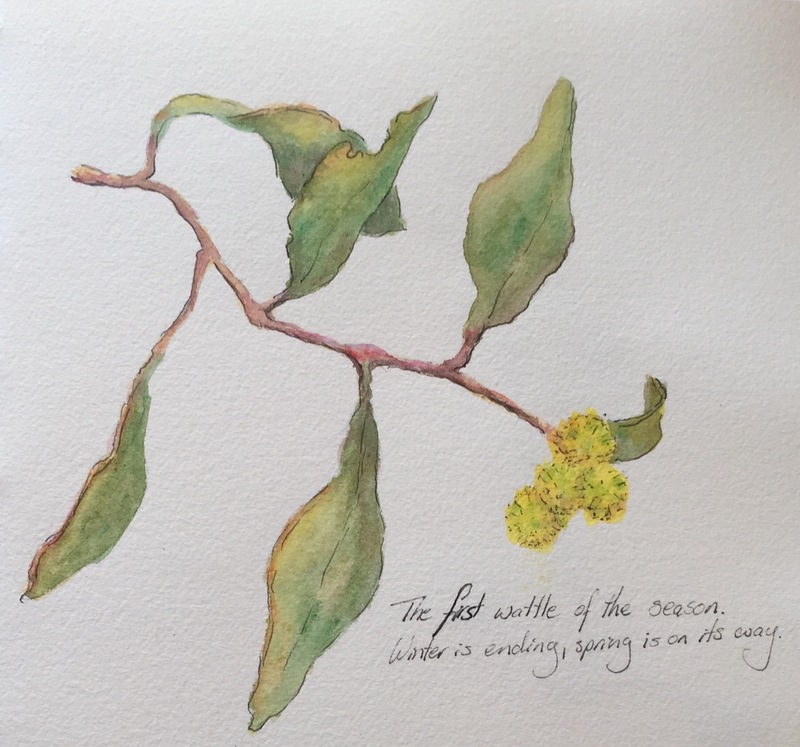 The wattle has been out for the last couple of weeks, it is the first to bloom and it heralds the end of winter in blazing golden glory. That bright yellow just makes you glad. 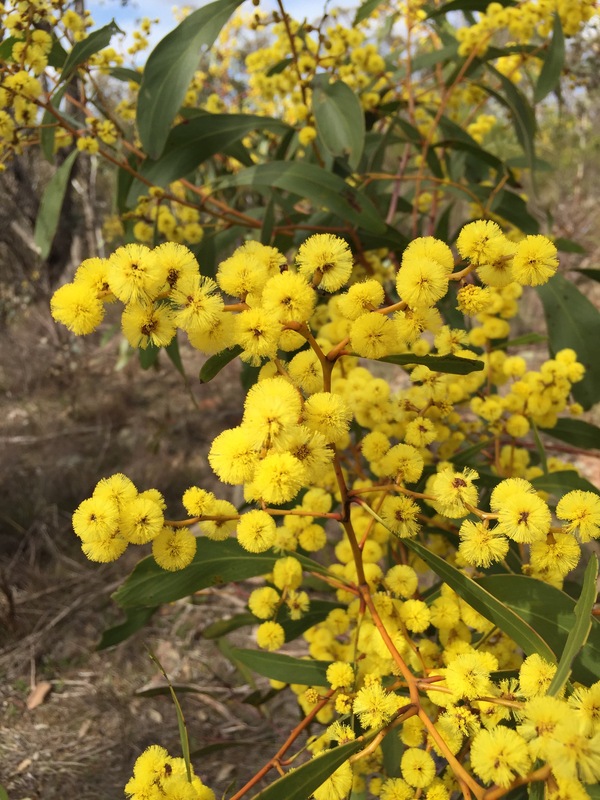 Golden Wattle Goldfield track Castlemaine. 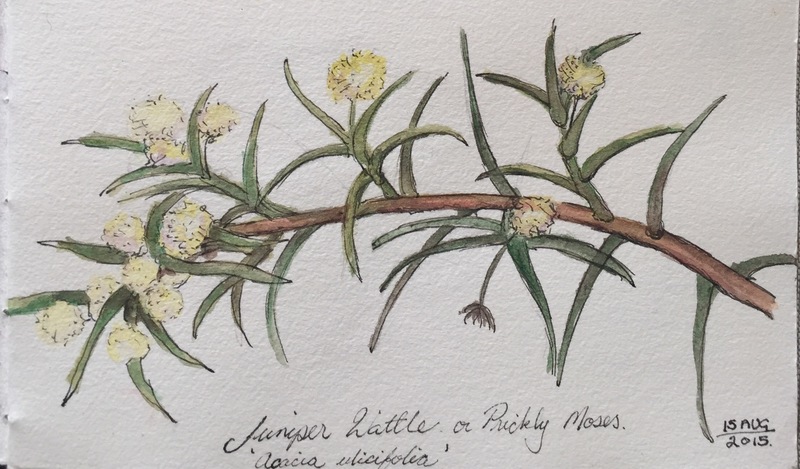 I also found a new wattle that I hadn’t seen before. I had seen the bush, as it has very long, sharp, spiny leaves that scratch if you brush past it, but I hadn’t noticed its flowers before. They were little cream balls of fluff with just a hint of yellow. 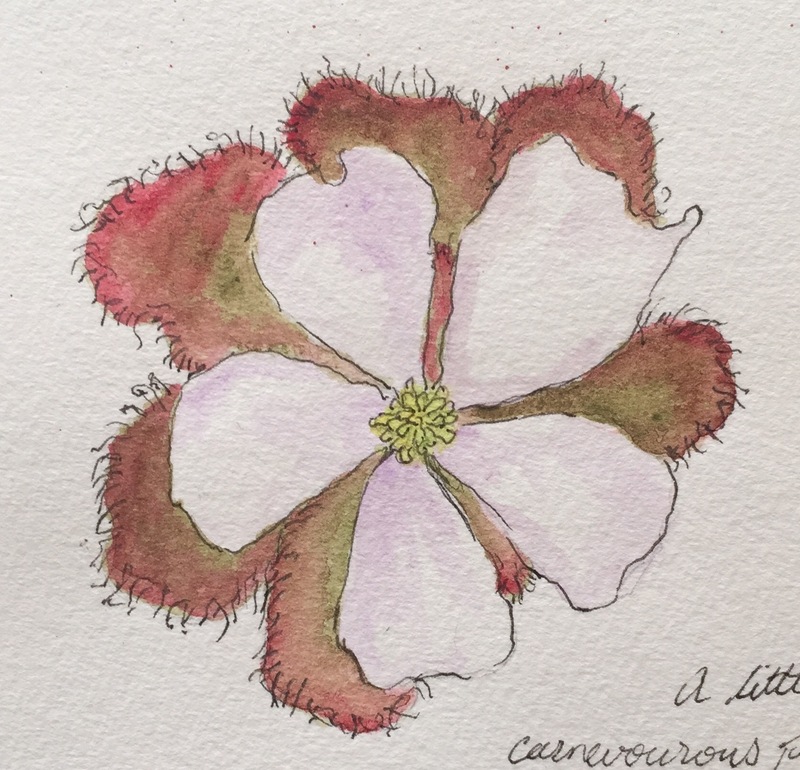 I also found a sundew, a little carnivorous plant that sends up the most beautiful and large white flower. It was supposed to be scented but I couldn’t detect any, it was probably over powered by the wattle above it. I have never known that we had these locally or that it had such a lovely flower, it has been a very wet winter so maybe the conditions have not been damp enough before. You can just see the sticky little hairs on the margins of the leaves that catch insects. 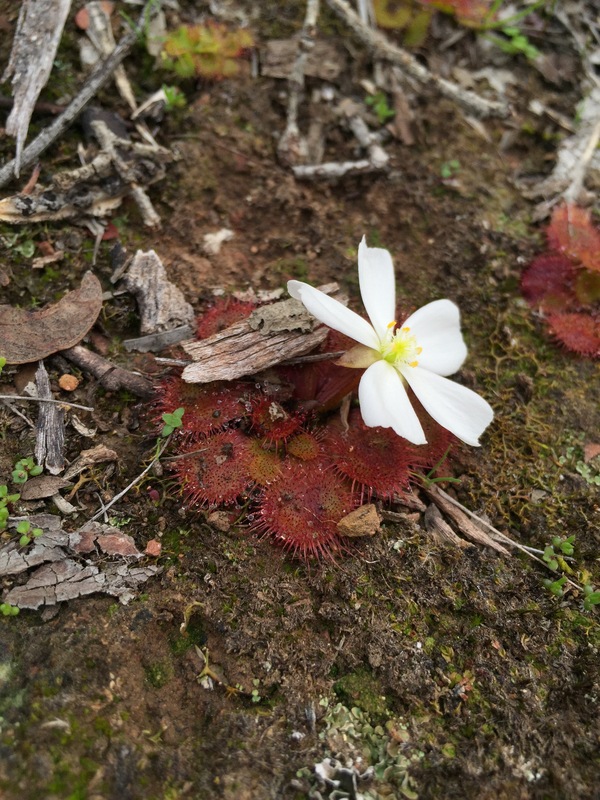 Scented Sundew Goldfields track Castlemaine. There were also these lovely, little, bright, native buttercups, these are the most vibrant yellow flowers with a waxy coating so that they just shine in the sun. I have tried a new technique with my water-colour pencils. I have rubbed the water brush over the pencil and painted this onto the paper, instead of using the pencils to colour on the drawing and mix them with water. 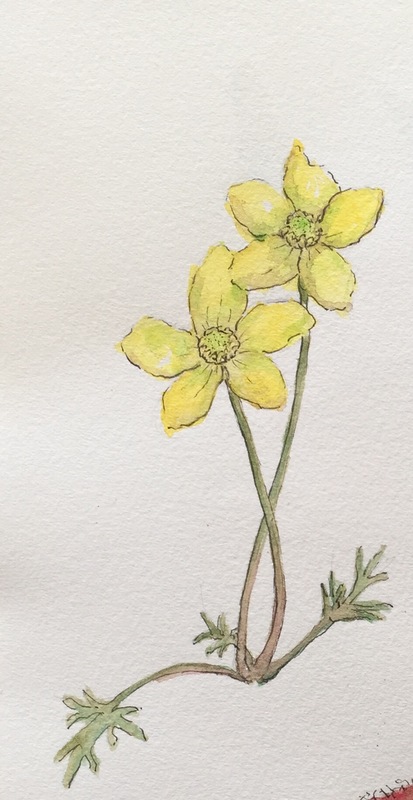 This gives a much more of a water-colour look and a delicacy to the painting which suits these gorgeous little flowers. 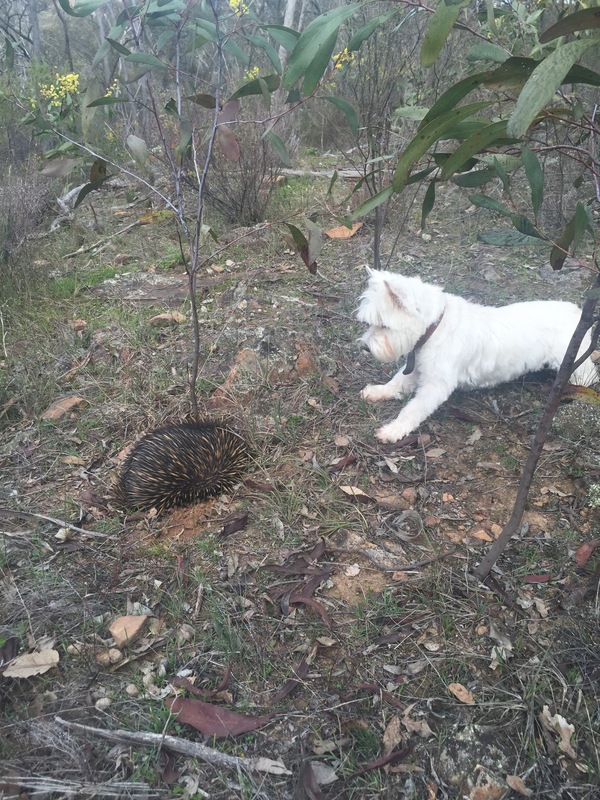 Just to add a little interest to our walk we spied a rather big, fat Echidna just off the trail. He heard us coming and hunkered down in the earth, not to pleased about being disturbed. Hannah was not sure what this strange being was, but manage to give it a right good barking at before hiding behind me. The Echinda wasn’t much bothered and ambled off once we backed off to an appropriate distance. I must apologies for my lack of posts for the last couple of months, but my niece has been very ill over that time and other dramas have sapped my energy, there has been very little drawing and no blogging. But my niece is much better and I now have the energy to draw and post again. Yippee. The sunshine helps as well. To further my recovery and my sister’s, we are going to treat ourselves to a quick trip to Bali for more sun and warmth, in 10 more sleeps (I am so counting the days). So I am busy making a new journal to take with me and of course I will share my travels with you.